And Harry's opinion on the whole thing couldn't be any cuter. In just four months, Meghan Markle will wed Prince Harry in what will likely be the ~*event of the century*~. And E! News reports that Meghan has chosen a wedding dress designer! Hooray! The princess-to-be apparently got help from her friend, Canadian bridal stylist Jessica Mulroney, to help her with the process of picking the right gown. "This was Meghan's first fitting with the designer and a chance for her and Jessica to look through a number of different designs," a source told E!. The source continued: "Alongside dress planning, Jessica is guiding Meghan through a number of wedding day details, helping pull together ideas and resources from her impressive contacts book." Apparently, only five people in the entire world know who the designer is, and it's a very top secret affair, because... I don't know? Drama? 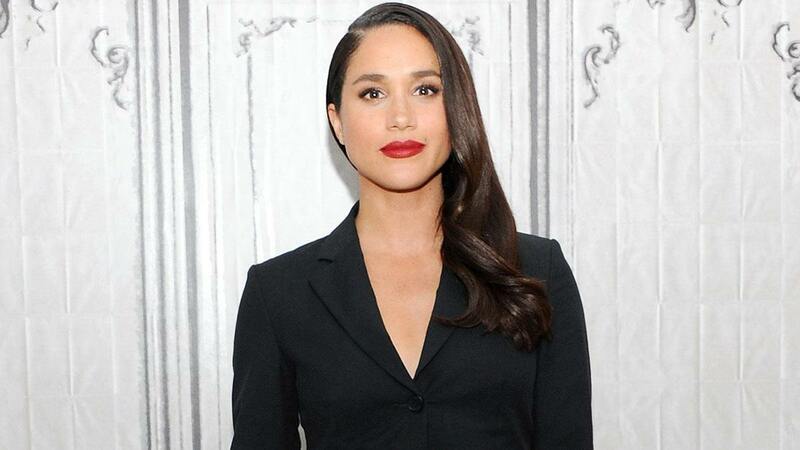 "During the appointment, Meghan was able to narrow down what she liked and disliked," the insider said. "Some of their favorite design elements includes embroidery and sleeves." We already know that Meghan's wedding style inspo is Carolyn Bessette Kennedy. In a recent interview, Meghan called Carolyn's gown, "Everything goals." And in a March 2016 interview with Glamour, Meghan discussed her ideal wedding dress. She said the dress "is very pared down and relaxed. Classic and simple is the name of the game, perhaps with a modern twist. I personally prefer wedding dresses that are whimsical or subtly romantic. Delphine Manivet and Christos Costarellos are faves of mine for their uniqueness and beauty. And I will always be a fan of Ellie Saab. J. Mendel is spectacular as well, especially for more structural designs." So there are your clues—enter your guesses, please! Oh, and as for Harry's opinion on the whole thing? Well, he's giving the ladies a wide berth to do their thing. Awww! He's already the perfect husband!